From the moment Simon Caine starts laughing at his own expense, the audience strap in for a chaotic hour of comedy. As a seasoned Fringe performer, long-winded gags and being forced to explain his own jokes should be a thing of the past for the thirtysomething comedian. 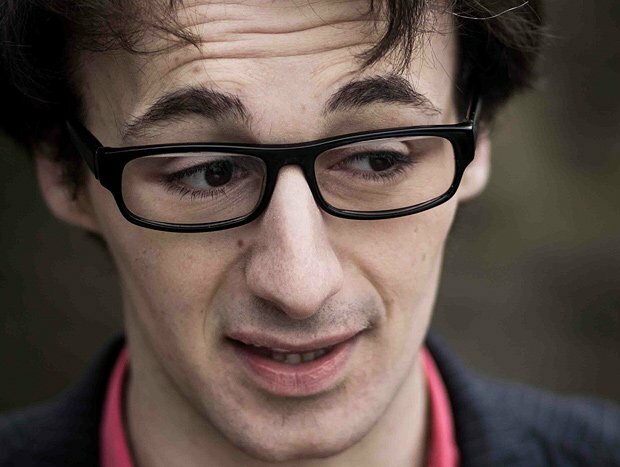 Once the nerves settle and Caine stops apprehensively discussing his mental health with the audience, he manages to gather momentum when explaining how boredom resulted in him buying an identical amount of chocolate from the same woman in Tesco's on a daily basis, before changing store through fear of looking like a stalker. But the impact of the joke is lost when he continuously questions why no one is laughing, and shattered entirely when he attempts to re-explain. Although there's some genuinely good material for Caine to work with, it's hard not to notice his lack of control and confidence in delivery. Thankfully, the audience carry him through the show, encouraging him to meet the punchline and eventually bringing out his endearing comic charm. Sweet Grassmarket, until 27 Aug (not 23), 5pm, £5 or Pay What You Want.